i need a good hobby. like it says up there i need better hobbies. 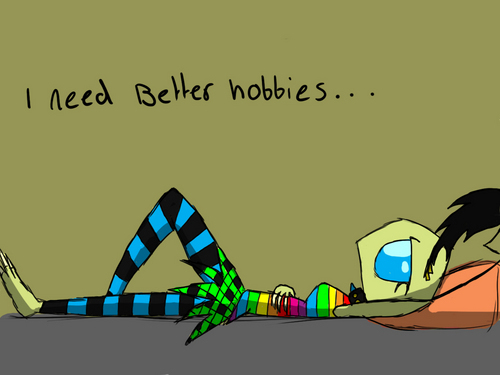 HD Wallpaper and background images in the Invader Zim FanCharacters club tagged: invader and cartoon. Best mga kaibigan For Life!!!! BASE - asong babae Slap! I have trouble finding real hobbies.